Are you wanting to be more informed and provide more solutions to help your buyers close faster with less or no money; not even closing costs? Here are the TOP THREE REASONS you’ll want to attend to our OVERCOMING THE DOWN PAYMENT SEMINAR. 1. 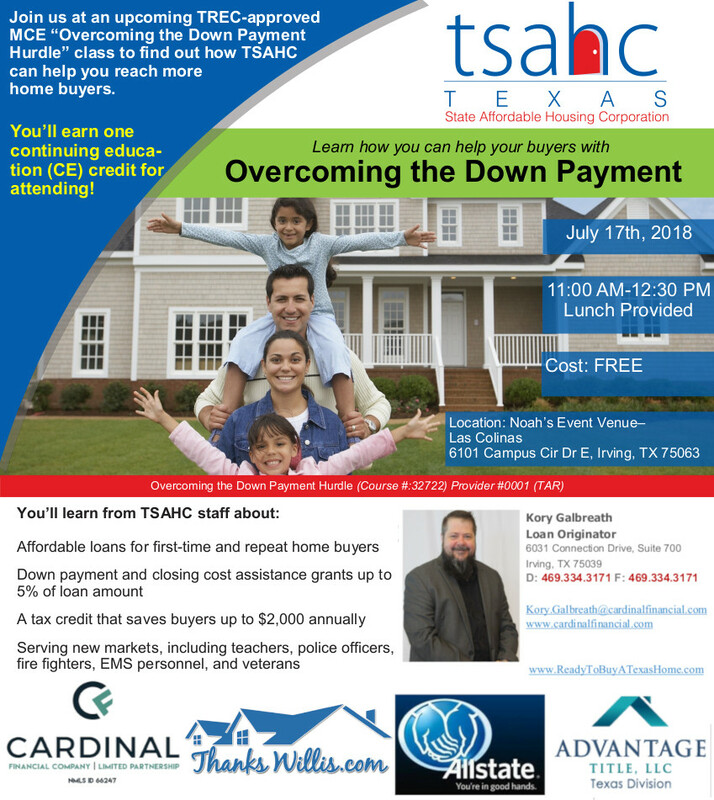 Learn about a Texas specific government grants and down payment assistance programs that will help most buyers qualify for a home loan with NOTHING DOWN! 2. The more you know about the market you’re families are thinking about buying or selling in, the more empowered you become. We’ll offer our insights into current market trends, prices, and how you can use this information to your advantage. 3. I’ll offer FREE credit tips as to what your buyers can do to effectively improve their credit scores and help them qualify for more loan options.